Brilliant for children who like to pretend they are driving their own car, the Tommy Truck Fun Bounce is for those up to the age of five. Sat on top of a spring like base, which can either be mounted onto your playground’s surface or buried underground, this product bobs gently up and down, as well as from side to side, allowing children to develop a greater sense of balance while also having fun! 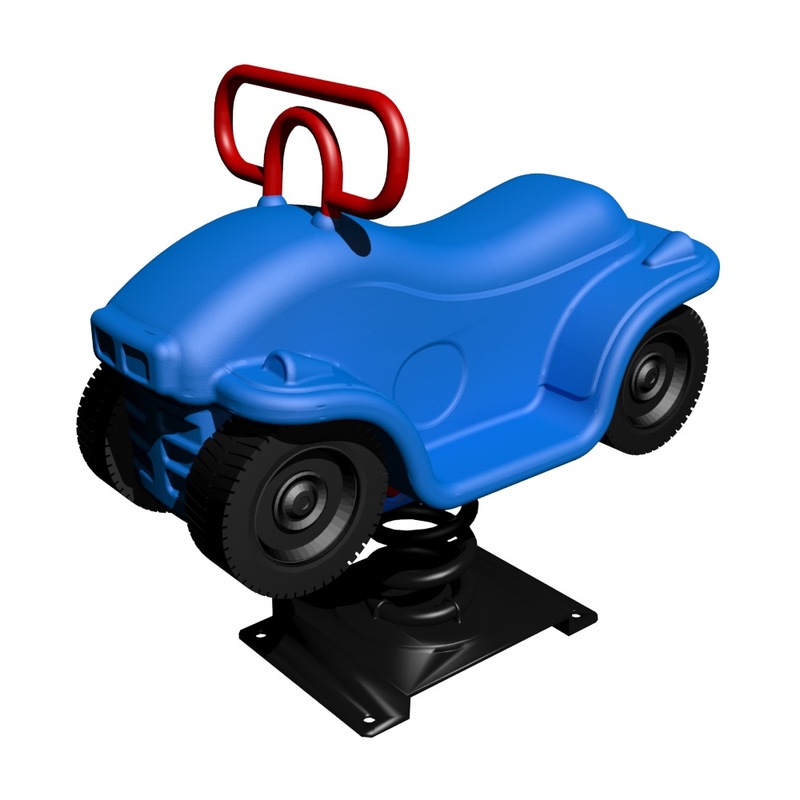 With wheels that spin, and a shape that is very much like that of a typical truck, this playground toy is a firm favorite amongst both boys and girls. A steel handle sits on the front of the Tommy Truck Fun Bounce for children to hold onto, making sure that playtime injuries do not occur. Safety Zone – 13' 3” x 14'8"